Jean Dries was born in Lorraine, in Bar-le-duc, and trained in Paris by Lucien Simon. 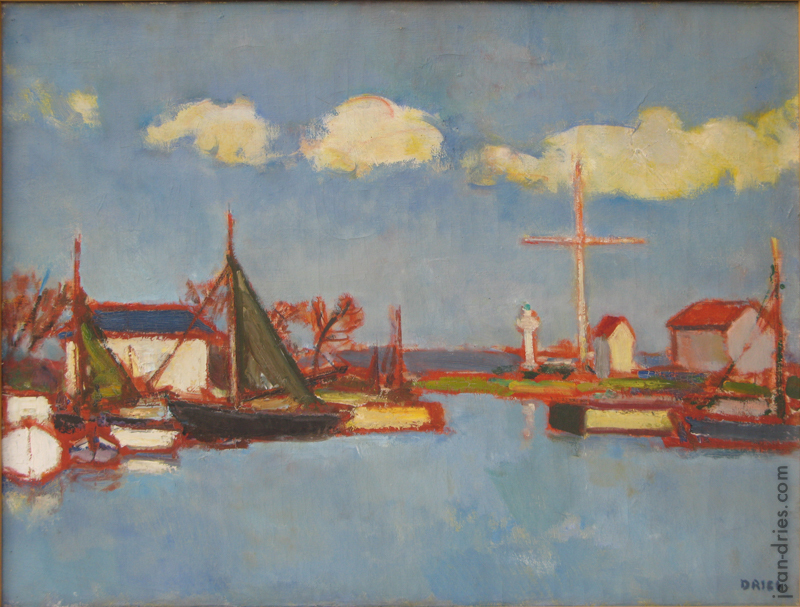 Lover of light and Mediterranean landscapes, he sets up in Honfleur in 1932, in answer to his friends’ call. There, he became one of the “painters of the Seine estuary”, successors of the impressionists. He settles for good in Paris in 1942 and shares his time between his three “homelands” : Normandy, the Parisian Area and Provence.